Florida’s We the People students came out in huge numbers for the title of state final’s champion! Eighteen middle schools and twelve high schools competed, showing off their constitutional knowledge and months of hard work. Held at Seminole State College, students displayed their understanding of the way that constitutional principles intertwine with both historical and contemporary issues by participating in simulating congressional hearings in front of a panel of judges. The high school winner was Pine Crest High School the middle school winner was B. Graham Middle School. Students and teachers prepare to compete in mock congressional hearings, displaying their understanding of the Constitution and American government along with contemporary issues. Pine Crest was led by teacher Trish Everett and B. Graham Middle School was led by teachers Jackeline Hernandez and John Brady. On March 22, Florida will also hold a Project Citizen showcase. B. Graham Middle School was this year's middle school winner in Florida, along with their dedicated teachers Jackeline Hernandez and John Brady. For more pictures of the Florida We the People competition, check out the Center’s Flickr page. 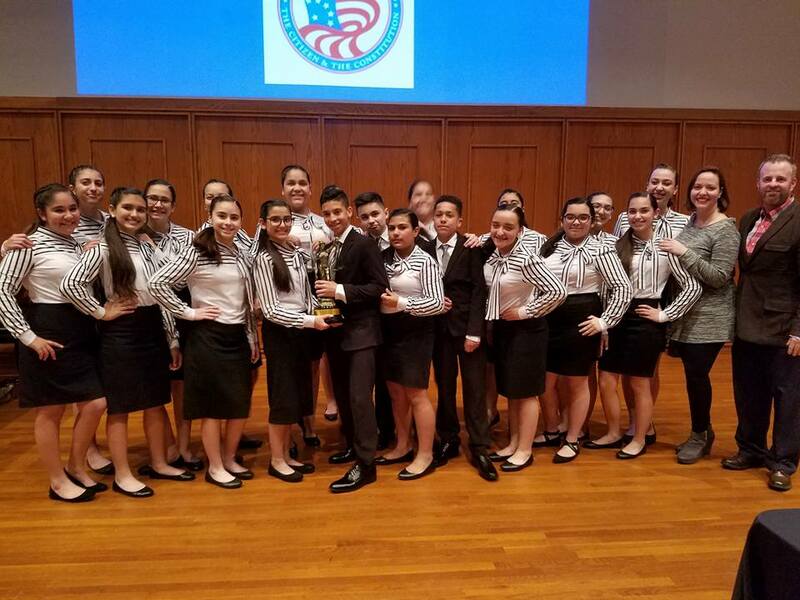 Keep an eye on these competitive Florida teams as they attend the We the People National Finals and Invitational!